Awesome storytelling training opportunity in Brooklyn. NYC producer Amanda Aronczyk leads a brilliant team of instructors determined to stretch the boundaries of craft and inspire makers pioneering 21st century media. Are you up to the challenge? We're looking for mid-career producers who want to embark on a week-long excursion through storytelling to sound processing to interactive design and more. Only a few spots remain for our December session at UnionDocs in Brooklyn, NY, so hop to it. Hands-on exercises and work-in-progress critique will put this new knowledge into practice. Please note: You must have a moderate to high level of experience in audio editing, i.e., mixed a news feature, or done basic editing via Hindenburg, ProTools, Audacity, or some other editing platform. 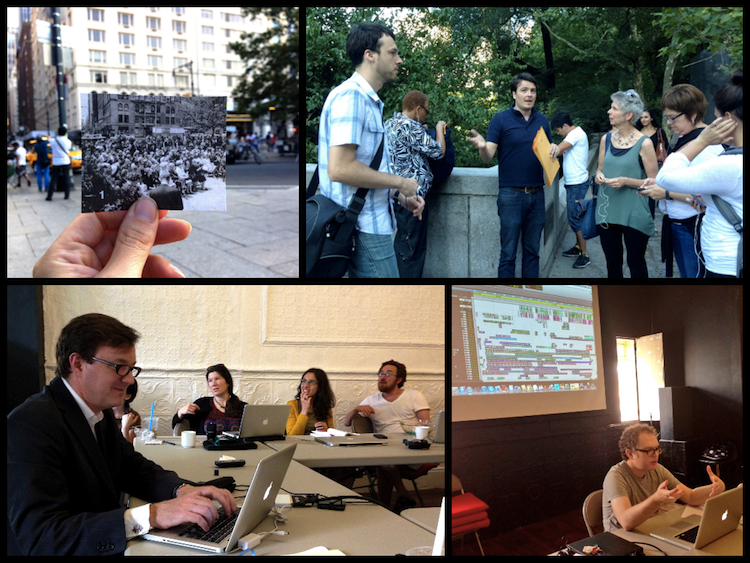 Sign up for AIR & UnionDocs’ Full Spectrum Storytelling intensive now! For a schedule and a full lineup of special guests – including Ann Heppermann, Jonathan Mitchell, and John Keefe – visit http://www.airmedia.org/PageInfo.php?PageID=782. STORIES IN SOUND 101 | An in-depth look at the ways we both listen and hear. CUTTING UP NARRATIVE | There are thousands of ways to tell the same story. Which way to go? SOUND IN SPACE | Sound can represent and interact with place, architecture and the physical environment. BIG DATA | How can you incorporate the latest data into your storytelling on-air and on-line? FUTURE AUDIO | A foray into interactive design and the narrative potential in networks. * Please note: Class goes from 10 – 5:30pm Monday through Friday and full attendance is mandatory. Please do not sign up if you are unable to attend each day. Copyright (C) 2013 AIR All rights reserved.